Calling it a “Band-Aid” for North Carolina’s mounting school construction needs, state House lawmakers on a key K-12 panel advanced bipartisan legislation Tuesday that calls for a $1.9 billion school construction bond referendum next fall. House Bill 866 passed with support from Republicans and Democrats in the House Education Committee, a rarity in the polarized state legislature these days. The bill also had the backing of public school advocates, although multiple officials emphasized that the proposal to borrow $1.9 billion assuages only a portion of the state’s estimated $8 billion in school construction demands over the next five years. “When you’re debating and discussing, please don’t forget about our students,” said Michael Bracy, superintendent of Jones County Public Schools, an eastern North Carolina school district with one of the most anemic tax bases in the state, making school construction funding a particular challenge. In North Carolina, state government typically is charged with funding classroom needs. Capital costs, more or less, fall to local government. However, given North Carolina’s well-documented need for school buildings, state lawmakers are mulling the first statewide bond to assist in K-12 construction in more than two decades, a proposal Bracy described as a “game-changer” for school districts Tuesday. “It is truly an economic driver for the state of North Carolina,” added Bracy. Going forward, the legislation will still require the vetting of a House finance committee, although it enjoys broad support from parties in Raleigh, a point on display during Tuesday’s education panel. “In rural North Carolina, there is a great need, especially after Hurricane Matthew,” said Rep. Charles Graham, a Democrat representing Robeson County. Republican committee member Jimmy Dixon, meanwhile, said he “enthusiastically” backs the bond, although multiple GOP lawmakers noted a pending proposal for a study of K-12 funding passed the House earlier this session and is awaiting action in the state Senate. 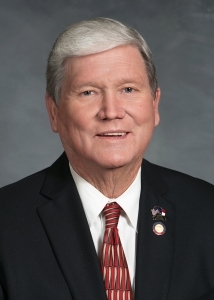 Rep. Jimmy Dixon, R-Duplin, Wayne, supports the bond bill. The proposal also has the support of advocacy groups such as the N.C. School Boards Association (NCSBA) and the N.C. Association of County Commissioners (NCACC). Mark Richardson, public education steering committee chair for the NCACC, called the bond the association’s “top goal” in the biennium. Meanwhile, Leanne Winner, director of governmental relations for the NCSBA, pointed out the state’s K-12 infrastructure needs will only be “compounded” by the legislature’s demands for reduced class sizes in the early grades, an ongoing debate that has enormous financial implications for staffing and school building in districts statewide. Under the House proposal, the state bond could funnel cash for construction to districts, including stipulations that no local match would be required of grants in small- and low-wealth counties. Districts would also receive varying amounts depending on their size and poverty level, favoring districts without the capacity to fund their infrastructure needs. Some of the greatest needs are found in districts with decades-old facilities, which are often in need of costly maintenance and upkeep. Bracy pointed out his district has a middle school and a high school built in the 1950s. Other districts are being tested by rapid growth. 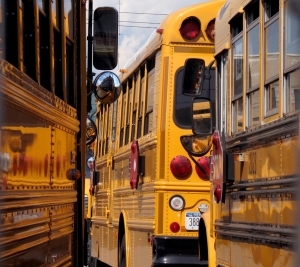 Chris Lowder, superintendent of Cabarrus County Schools, said enrollment increases of roughly 1,000 students per year have generated more than $278 million in infrastructure needs over the next five years. The district, which is located just outside of Charlotte, needs another $291 million in the five years after. If approved, North Carolina would vote on the bond in November 2018.